I was inspired by Pat Flynn’s Niche Site Duel 2.0 that he announced recently. In short, he is creating a brand new niche website and the goal is to rank it at the top of Google in 2013 after all the changes that have taken place with SEO over the last couple of years. Pat encouraged his podcast listeners to join him and I decided I’m all in! I think it will be an interesting and fun experiment. That is where you will be able to find all the content regarding my experiment. Right now that link goes to this post, but in the future there will be a landing page with all the updates that pertain to this experiment. Do I Really Need Another Site? No, I honestly don’t. I’m busy enough as it is. However, I think it’s a very relevant experiment to conduct since so many of you are brand new or are having trouble getting out of the gate. I think it will be cool for you to follow along and see how I handle some of the brainstorming before I begin a website. It will be a great learning experience for a lot of you. Even if the experiment fails, there are still going to be great lessons to learn from, and I will report on my progress no matter how this goes. I’m not for one minute expecting this to be a cakewalk. Yes, I’ve got some experience under my belt, but SEO has changed a lot, and you really have to take your time with the research process today. I think a big reason people fail to rank their pages is they target keywords that are too competitive. As you will learn below, I’m taking a slightly different approach so it will be interesting to see how it all pans out. 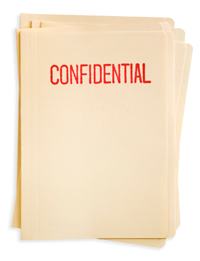 I can hear some of you groaning, but keep reading because I will still be revealing a lot as you will see below. Trust me. I debated over this a lot. I’ll be honest. I get so incredibly tired of lazy people copying my work. If this site does take off then I want to protect my income, period. I learned several years ago that I have to keep some of my work behind the curtain because of issues I’ve had with copycats and sabotage in the past. I could really tell you some stories, but I’ll save that for another post. So as you may know, this isn’t my first hidden website and it probably won’t be my last. 🙂 However, this is the first time I will be sharing so much of my planning process publicly. Of course, if I reveal the site I could use nofollow links so I wouldn’t pass any of my existing link juice that may give me an unfair advantage. However, I want to make sure this experiment is clean. If I blog about it and others happen to link to the site, those links could actually give the site a minor boost. Again, I don’t want any outside sources giving this site any help. That also means I am not going to be linking this site to my Google Plus Account to keep from passing my Google Authorship / AuthorRank to the site, which could also give this experiment an unfair advantage. I want to act as if I’m starting from scratch with no online profile just like many of you. Yes, we will be down in the trenches together! So are you ready to get your hands dirty with me? Hope so! So even though I’m not going to reveal the site, I will be revealing a lot and showing screenshots of traffic, earnings, and more. In fact, I’ve already chosen my niche so I’m going to give you a lot of insight into how I’m going to be approach the new site in this article. Like Pat, I am using Spencer Hawes’ Long Tail Pro (affiliate) software to help me analyze my competition. Yes, I’m actually using a paid keyword research tool for a change — something that is pretty rare for me these days. I stick by the fact that I hate keyword research (as I mentioned in my niche site video) and still believe it can be incredibly paralyzing. But since this is a semi-public experiment, I wanted to take my time on the brainstorming process. I can’t lie. I feel a bit of pressure because all eyes will be watching. So I’m taking a lot more time than I normally do before starting a website. In 2013, I think it’s more important than ever to really get an idea for how competitive a niche really is. For the record, I still don’t think you need to buy any software to research your niche, but it may give you an advantage and I will show you how I’ve used it to research my topic. The niche I’m going with is in the health and wellness field. Like most of my sites, it is something I have gone through and ultimately had success with. I have something that a lot of people want. So right away that makes for a potentially great topic for a website. Start with something you’ve had a problem with, show how you fixed it and teach others how to do the same. I’m a big believer in having some kind of experience and success with a topic. The personal connection keeps me interested and the success is inspiring to people, which builds trust and credibility. I don’t know how some of you just choose topics because of the earning potential when you have no interest. I know it works for some, but that just doesn’t cut it for me. I’ve tried it before and got bored. And since it takes a lot more work to rank a website today, I realize this has to be something I like writing about or it will be hard to compete and stay motivated. So just like a lot of my sites it will be a how-to/problem solving site, but keyword strategy I’m using this time is going to be slightly different from how I normally approach a niche. When using Long Tail Pro, the “how to” version of my desired keyword seemed way too competitive. There were too many top branded sites sitting in the top 10. This is something you definitely want to pay attention to since Google now heavily favors brands (especially in certain niches). That is one benefit of having a keyword tool that provides more analytical data. It allows me to perform a better analysis on those sites that rank in the top 10 spots. So instead of targeting the “how to” keyword, I am actually targeting a related keyword that is a symptom of the more competitive phrase. Remember, this is NOT my niche. I’m just giving you an example so you can see how the keywords relate to each other. Now, this could be a crucial mistake because I’m assuming that those who search for “flabby arms” want to learn how to tone them (and not just browsing for images of flabby arms), but I’m willing to risk it because the latter keyword has a demand of 6,000 Exact Match monthly searches according to Long Tail Pro. Today I like for my keyword phrase to have at least 2,000 EXACT MATCH monthly searches (if you’re using Google AdWords or Long Tail Pro). So this phrase has three times as many monthly searches as my minimum requirement, and the top 10 sites are not as competitive as the “how to” keyword. So what do I mean by not as competitive? Well, even though there are some popular health-related sites ranked in the top spots, the remaining sites may be easier to compete with because they consist of content like a YouTube video, a Hubpage article, a Tumblr article and a couple of other articles with lower Page/Domain Authority. Speaking of YouTube, the video that is ranked on the first page for my targeted keyword is actually not very well done in my opinion. It’s less than a minute long with bad sound quality, yet it’s received over 2 million views in 3 years. That is something I hope to capitalize on big time! One reason I believe the YouTube video does so well is it doesn’t appear people are really targeting this phrase much — they seem to go for the more competitive, “how to” phrase I decided not to target. So even though it’s not the best video, it’s the best and most relevant one for that keyword. The like/dislike ratio is also not very good (which impacts YouTube rankings). But again, it’s ranking well because people just aren’t targeting this phrase much. Nevertheless, you know I really enjoy doing videos so I hope to use this to my advantage. The other thing I noticed is that there are not a lot of comprehensive sites on this topic. That is something else I look at when starting a website. Are there just solo articles or are there a lot of well-developed sites? In this case, there are a lot of solo articles on larger sites that don’t necessarily focus on this keyword. That’s a good sign and I also noticed the same thing with my other experiment site I blogged about here. And finally, none of the sites in the top 10 use any kind of personal approach. They’re mostly articles written by anonymous “experts.” I will try to also take advantage of that with pictures, personal stories, video etc. Here’s what the analysis looks like for my main keyword I’m targeting (according to Long Tail Pro). Now if you don’t use Long Tail Pro, these numbers may not mean much, so let me give you a breakdown. What the software does is show you how many links and domain/page authority for the top 10 sites in Google. It also shows the PageRank, domain age and more. Notice how few backlinks the top-ranked sites have. 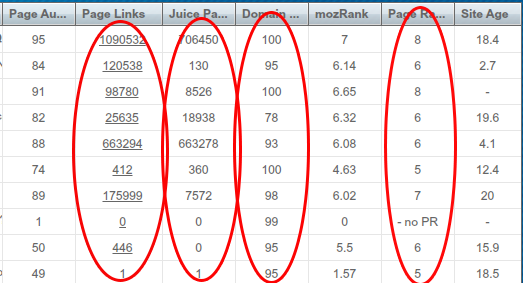 The 3rd column (Juice Page Links) represents how strong the backlinks are. So if a site is about politics and there is a backlink from CNN.com that would be considered a Juice Page Link. The number of backlinks for these sites are weak overall. This is a good sign for me because as you know, I’m not big on manually building links anyway. 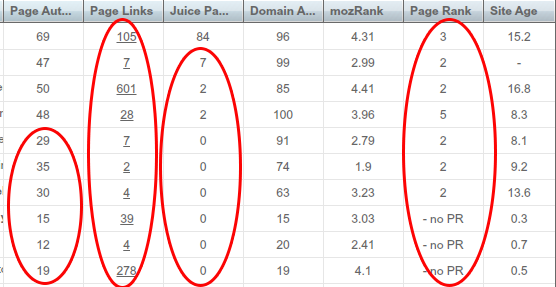 The numbers I’ve circled represent “low competition” relative to other keywords I searched. Probably the most competitive column is the Domain Authority (100 is the max) — which is calculated by measuring the collection of links and other factors. So the first 7 sites have a very strong DA, but it’s also promising that sites #7-10 have very weak authority. Just to give you something you can compare, look at the chart for the keyword “stock prices.” Notice how many Page Links and Juice Page Links this keyword has. The PageRanks are also very strong. So this is clearly a much more competitive phrase. Obviously it’s almost impossible to find the PERFECT phrase to target. As I’m always saying, at some point you have to trust you have the content to compete and go for it. The great thing about this niche is there are some higher-priced products that I use so there is some decent affiliate commission potential. The CPC for AdSense also looks VERY good, so there is great potential there as well. 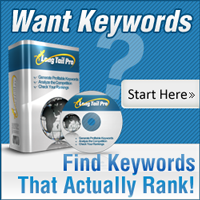 Both Long Tail Pro and The Google AdWords Tool give you the CPC for a keyword. That’s the average price (cost per click) the AdWords advertiser pays to rank for that phrase in the paid results. So as an AdSense member you earn 68% of that when someone clicks the ad. Checking that stat is a great way to get an idea for how much AdSense earning potential exists. There is one task I will definitely outsource. As you know, I prefer to write most of my content, but this project will involve a big product-comparison article with a chart that provides information about relevant products in this niche. This kind of content is time-consuming and is the perfect task to outsource because it doesn’t necessarily have to be in my voice. It will just be a comprehensive chart with pros, cons and comparisons. I got the idea from one of Pat’s podcasts where he interviewed Spencer Hawes of NichePursuits.com. By the way, make sure you listen to that podcast. In fact, I share many of the same topic research strategies he talks about in his interview with Pat. I actually did some research on various product comparison keywords and once again, there aren’t a lot of sites that have done this very well. So there’s another gap that could be filled. So much of starting a new website is believing in your ability to offer something more useful than what already exists. Too often we don’t aim high enough or we try to mimic sites that are already out there, but today that’s just not good enough in 2013. You have to take things to the next level. I am not going to do anything different in terms of my approach. You know that I like to build those “how to” sites that focus on topics I have experience with. This site will be no different. Since I like doing YouTube videos, I’m looking to take advantage of some gaps in that space as well. In fact, I hope to record my first video this week. What is My Goal For This Site? I have no desire to make this site as big as the 2 Create a Website brand. That would take time that I simply do not have. Ranking #1 for the keyword I’m targeting will take some effort because of the kinds of sites that rank there now (solid brands). However, after my Long Tail Pro research, I believe I can still make it to the first page and would be more than satisfied with that result. If this site brings in a couple of hundred dollars per month passively, I would consider it a success. I’m really just looking forward to the challenge of starting from scratch in 2013. It’s probably going to be a couple of months before I report back. So far I’ve done nothing but purchase the domain and I want to have some decent content and time invested before I begin to analyze the results. I will also be logging everything such as time spent, how many articles I’ve written, money spent, when I add AdSense ads, etc. and will keep you updated as time goes on. I will be building the website with WordPress and using the Focus Theme from StudioPress (affiliate). I’ve never used this theme before, but I chose it because it’s clean, has a space for a banner in the header and it’s mobile responsive. For the record, I would never create a site today without making sure it’s mobile-friendly. As an existing StudioPress customer, the theme only cost me $18. As far as the layout, it will be mostly static Pages instead of a typical blog layout with Posts organized by date. My Napturally Curly website is a great example of the layout I’m going to use. It doesn’t mean I’m not going to have posts, but I’m going to lay it out more like a traditional site. 1) I’ve chosen a keyword phrase with decent demand (6,000 monthly searches). 2) Instead of choosing the more competitive “how to” phrase, I am targeting a related phrase that is more than likely used by the same people who search for the more competitive phrase. I’m definitely making some assumptions here so it will be interesting to see how that decision plays out. It may turn out to be a brilliant idea or a bad move. We’ll see! 3) I have examined my competition and found gaps on both YouTube and other websites (There are not many sites with thorough info — just articles here and there.) Don’t just look at keyword research data. Do physical research and scope out the quality of the existing sites. 4) The AdWords CPC looks good for a variety of related keywords (some are over $7+) so there is probably going to be a lot of AdSense earning potential if I can drum up some traffic. 5) Some of the products associated with this niche are pretty high-end in terms of price. The downside is this niche has pretty low commissions in general. But of course there’s always room to sell some sort of digital product like an eBook. 6) I will use my own personal approach and success stories to make the site more inviting. This is definitely lacking in the top 10 results. I have to be honest. My biggest concern is time and commitment. It’s the summertime and this is my travel season. But one of the reasons I wanted to announce this is it will hold me accountable. I’ve promised to report my progress, so I think that will keep me more focused. I’m not a big backlink builder and that may also come into play. But as I’ve already mentioned, the top-ranked sites don’t appear to have many backlinks, so I’m hoping I won’t need as many to rank either. Not aggressively building backlinks worked for this site, but that was 2011 and I think I really got lucky with that niche. For the record, that site is still thriving and survived all Google updates to date. That’s why it’s so incredibly important to pick the right niche and narrow it down. I cannot say that enough. As I’ve already mentioned, choosing to target the symptom over the “how to” keyword may be a mistake. Perhaps there’s a reason that phrase is not that competitive (low conversions, etc.) However, the demand and lack of overall competition looks so good, I have to try it. Whatever happens, I will definitely document it and report back (with screenshots of traffic, etc.) once I get the ball rolling. Good or bad, you’re going to hear about it. Hopefully you’ll take Pat’s challenge too! I didn’t officially sign up, but I will be doing this experiment on the sidelines and working at my own pace while following along with him. I think this will be great if you have tried to create a niche website before and you’ve failed, or if you are new and would like to do this with me and everyone else participating in Pat’s challenge. I also hope this post gave you more insight into my thought process when I’m researching a topic. I’ve never published anything this detailed so I hope it was helpful. Notice how it’s not just about keyword research, but taking advantage of gaps and having confidence that you can publish something that is even better than what already exists. Now, here’s a message for those of you who just can’t seem to get your feet off the ground with regards to your website. Whether you realize this or not, so much of your success or failure is mental and it starts with your level of self confidence in the beginning. After being out here for so long, I can immediately tell who is in the right or wrong place mentally by the questions they ask or excuses they make. Can you define and fulfill a need then create a unique, trustworthy site that connects with people who have that need? Can you fill a gap in the existing information and stand out? 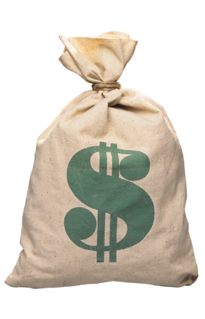 Many, many people who make money online had no Internet marketing experience whatsoever, but they learned over time. This is more about the niche you choose and your execution. The reason many people fail is not because they aren’t computer savvy or lack Internet marketing experience. It’s usually poor planning or they let fear and/or excuses get in the way and they are doomed before they start. Of course those aren’t the only reasons sites fail. Obviously how you market a site, niche selection, etc. matter, but in my experience with the informal coaching I’ve done over the years, lack of planning and fear of failure also play a significant role. One thing I often notice is some of you are putting off starting your sites because you are already anticipating or fearing failure. Well let me tell you something, most people (including myself) failed first before they succeeded. I’ve had way more failed sites than successful ones, and this experiment could fail too. If it does, so what? It won’t be the first time, and I can take what I’ve learned from it and move on. You might not even know this, but I had about 4 sites BEFORE I created 2 Create a Website. You never hear about them because they failed and no longer exist. I think it’s easy to assume that people with successful sites have always done everything right or can’t relate to what it’s like to fail or struggle. Most successful people have failed at some level. The difference is we don’t let those failures define us or cause us to give up. I can give you a compass to point you in the right direction, but you have to create your own road map. And you can’t do that without stepping out on faith and start driving. I am often asked to hand-hold people through this process or provide some kind of assurance that a certain niche is the best way to go, but some things need to be learned by doing and experiencing. 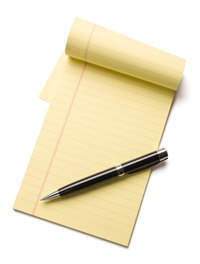 Now, there’s nothing wrong with gathering info in the beginning so you can prevent as many errors as possible. But there’s a fine line between ensuring you’re starting off on the right foot and letting fear paralyze you into doing absolutely nothing. I think doing nothing is way worse than making a mistake or having to start over. Plus, the internet is so incredibly forgiving! You can always adjust and re-group if you find that your site is going in the wrong direction. I lost count of how many times I have done that myself. OK, I’m done with my pep talk. I hope this post encouraged those of you who have been stuck in neutral with your site planning. 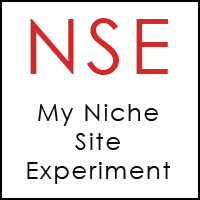 My Niche Site Experiment: Building or Earning Backlinks? Can You Relate to My Keyword Research Habits? Why is Long tail pro so much better than Google’s Keyword Planner. Keyword planner seems to give me the search volume and competition as well too. Isn’t that all I need to know when doing long tail keyword research? Great question. The Keyword Planner just gives you volume. The Competition column just shows you Ad competition for PPC. That is not necessarily the same as competition to rank. Niche websites are back in trend? I know that Google loves good, quality content, and static pages are no longer very popular. Nowadays, news websites have a great advantage in SERPS so I don’t know how a niche website can compete with these monsters. I’m late to the game, but I’m learning so much by just reading your posts. I am venturing into the niche site arena and because people like you and Pat Flynn are so open sharing information, I am feeling confident and frankly very excited. Thanks for all of the guidance you offer. Consider me aboard! Happy to help Keith. Good luck to you! I just wanted to stop by and let you know that after years of following your site I purchased your ebook NWS. I must say it has definitely put things in perspective. Keep up the good work! Thank you David! Appreciate your support. After reading several posts on your blog,I have decided to start my own website on my own domain. ii.If i create a forum (with PhpBB/or others) on my root domain ,Is it possible to make a blog on my sub domain like blog.myforum.com ? Definitely a niche site. A forum is for after you have traffic. 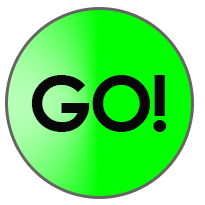 Start with a focused content niche site and then grow from there. And yes to your 2nd question. Awesome post Lisa! I think I will have to send more time on your blog 🙂 I always have a problem to start a niche site and actually follow completely through. Almost everyday, there are so many internet marketers trying to sell you the latest money making secret and that is making a lot of people frustrated. I hope that the experiment will become successful for you and we all can see that if people are honest and not trying to game the system, it can yield a lot of free traffic from the top search engines. The secret of my niche sites success is that I found a purpose that was different from other sites targeting the same niche. I think having a different purpose brought me a different audience, possibly one that was being neglected and/or ignored. Just like to say I have been following you for some time now, on and off but I really enjoy reading your stuff. I find it connects with me…. and that is rare. You have a personal touch that makes this game more human than most.. you write in terms I can understand,,,,,sweet ! Good post. Your right, the quality of the post is more important than the quantity of your posts.Thank you very much, it works just fine for me, great job! Thank you Lisa for sharing, you are an expert blogger for me following. WordTracker doesn’t just generate a list of keywords, it helps you identify the best keywords for your niche. Most of the people who starts niche sites only targets “exact match phrases” and disregard phrase matches. There’s a huge opportunity here for “hidden long tail keywords” that many people are missing. Wait for my searchenginejournal post on how to find these “hidden long tail keywords”. I’ve also written an article on how to find long-tailed keywords and why they are important to your online success. So true. My new site is already getting found for some very “hidden” long tail keywords. Longtail is a good piece of software, but the best keyword software out is: SE Cockpit. Take a look at that software, and trust me, you will not go back to anything else. Yes it is a costly per month subscription, but well worth every penny. If you search around, you can get it for $30 cheaper than on the website. Never even heard of this one! You might want to take a look Lisa…if you have not heard of it. Tell me what you think too. You are undoubtely the ‘hottest” female IMer on the web today. I was wondering if you’d be interested in doing a very high paying ‘private’ modeling gig. Name your price! I mean it. …and… if you are interested…. would you like to be my date for an evening. You would be picked up… all expenses paid of course… wined and dined… and then whatever. Once again, price is not an option. Just name yours! If you are even remotely interested in getting out of debt or building a nice nest egg for your future, just give me a response and I will give you my number and alot more information about myself. You will in no way be obligated to do anything, and if you decline after learning a little more about me, no questions will be asked. LOL! Thanks, Jake but thanks to my Internet business I am not in any debt and not interested in modeling. I found my niche right here. Like anything, there is a learning curve to niche sites. You have to buy a domain and set up hosting. However, the most important part is finding a keyword (topic) to target. This is not an easy skill to master, as it requires a good understanding of how Google works, so that you can begin to understand what might be low competition. Lisa I am really surprised to see that you are not involved in Niche sites before as this is proven to be the best way to earn money with Adsense although now a days Google is just giving everything to brand sites. I’m not sure what you mean. I’ve been building niche sites since 2002. This is not my first site by any means. Thanks for shared! My problem is traffic of my website very lowly, I don’t understand! Please guide help me it? If you comment on nofollow blog then there is no use of that link. Now you have a question like how to find dofollow blog for commenting? In this article am sharing how to find dofollow blog commenting sites in your Niche keyword. wow. Thank you. That information feels as if it would normally cost some money.